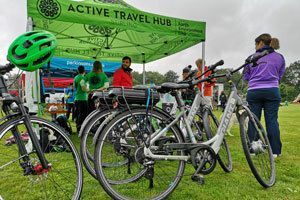 Working as part of FEL’s Active Travel team, you will work closely with key local stakeholders to deliver, promote and support Forth Bike, the public e-bike share provision and it’s development in Forth Valley and more widely. You will take a lead on developing the Forth Bike promotion and marketing program, working closely with the service provider, Bewegen, and its subsidiary WeGoShare. You will ensure the scheme operates effectively, providing the best possible service for stakeholders and the public.